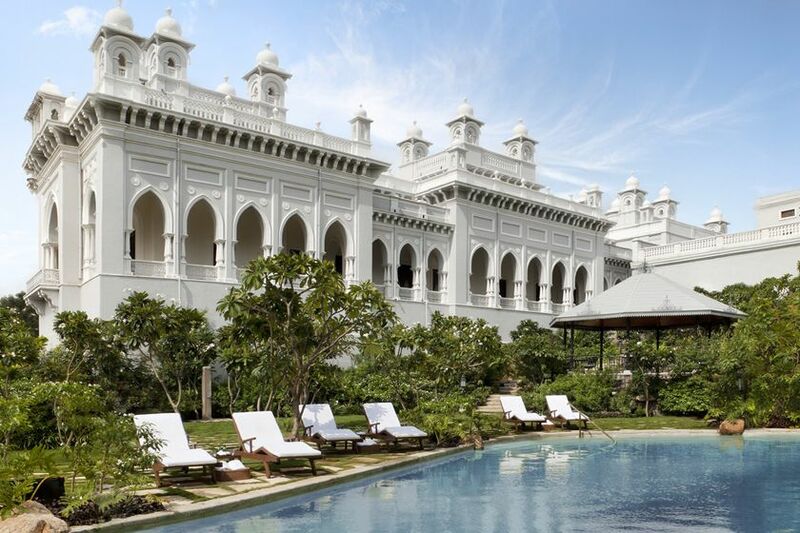 We have to doff our hats and say that Hyderabad’s royal family knew how to build a palace. 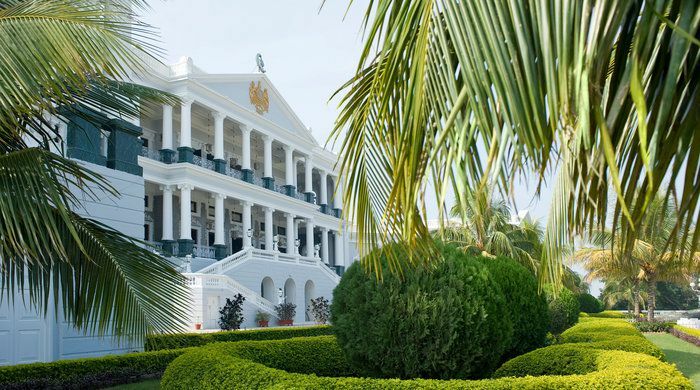 This one is now one of India’s most opulent hotels, towering 2,000 feet above Hyderabad. Unsurprisingly from such an elevation, the views of the city – about half an hour away by car – are simply out of this world. Incredibly given the scale and majesty of the place, the hotel has been divided into only 60 guest rooms, meaning each and every one is wonderfully capacious. 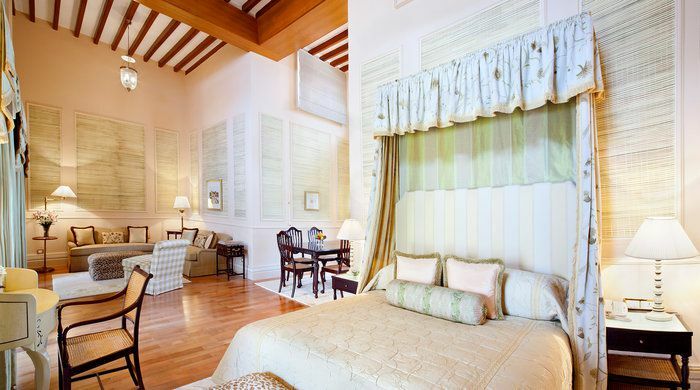 Luxury Rooms offer marble floors, Egyptian cotton sheets and views over the immaculate courtyard. 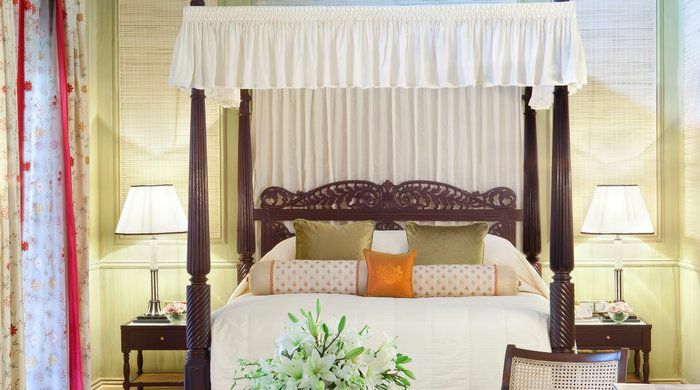 Palace Rooms represent a slight upgrade, while the Suites redefine the word opulent, brimming with antique furniture, rich tapestries, handmade Turkish rugs and ancient teak panelling. Of course, these classic adornments are equalled by the latest in modern amenities. 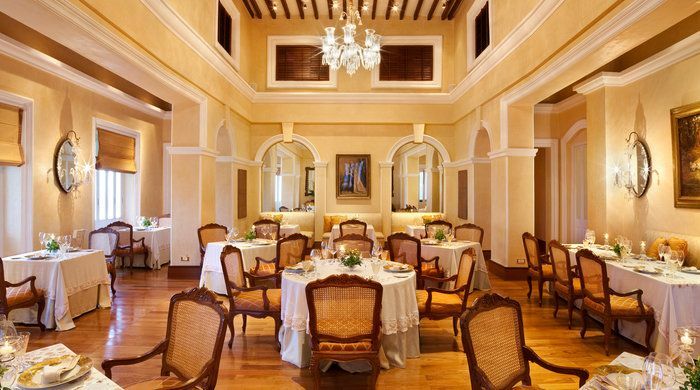 Six culinary choices greet guests at Falaknuma, catering for every taste. Begin with an a la carte breakfast at the Jade Verandah, pause for a mid-morning snack by the pool, then ease into lunch at the Mediterranean-themed Celeste restaurant. Take afternoon tea in the majestic Jade Room surrounded by gems and antiques. Then end your day with a formal Hyderabadi dinner at Adaa, followed by an aromatic smoke in the Hookah Lounge. 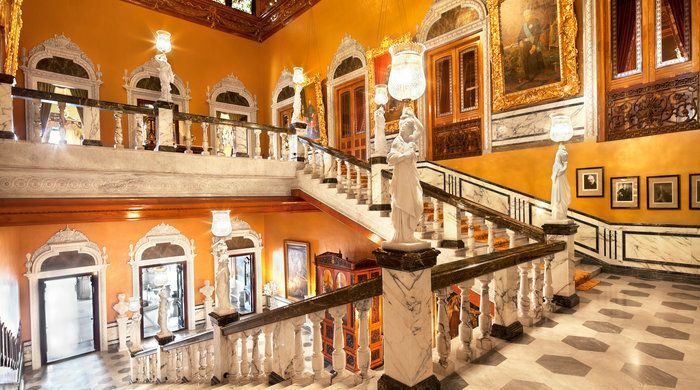 You know that a hotel is special when it offers guided walking tours through its own corridors, hallways and lounges, all of which showcase rare paintings, tapestries, sculptures and other priceless treasures. 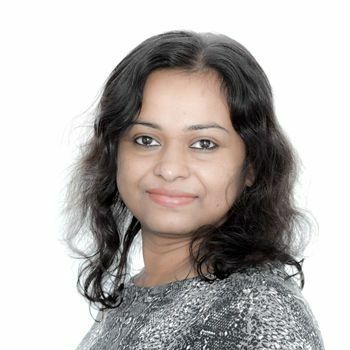 Elsewhere you can relax in the Jiva Spa or retire to the Palace Library, a replica of the library at Windsor Castle, and graced by India’s finest edition of the Koran. 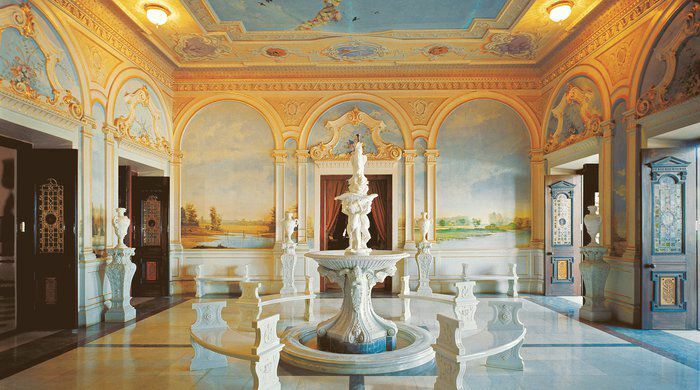 Or perhaps play billiards on a table whose twin resides in our very own Buckingham Palace.